Leeuwenhof Country Lodge is located on a beautiful country estate, offering lovely en-suite bedrooms and wholesome fare. Leeuwenhof is a small romantic country lodge situated in the Waterberg Mountains, amidst abundant blessings of nature. A timeless tranquillity emanates from the exuberant bird songs, the big trees and the presence of the wildlife. The Garden Spa offers half-day to 4-day packages to de-stress the body and relax the mind. Facilities available include a spa bath, sauna, Turkish bath, and a wide range of classic and specialised body and facial treatments. Spa packages are available for individuals as well as couples and can be enjoyed in the private treatment room or under a canopy of trees. The heated swimming pool, sunset drives and floodlit tennis court add to the Leeuwenhof outdoor experience. 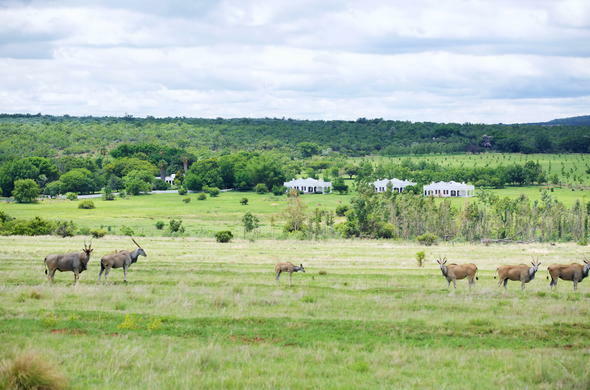 People from all over the world have fallen in love with this beautiful region when experiencing the age old African tranquillity by day and night in the luxury of Leeuwenhof Country Lodge. Leeuwenhof Country Lodge accommodates children from 14 years old. However, arrangements can be made for younger children.